We are proud to announce the addition of artist and conceptual entrepreneur Martine Syms to the collection. In celebration, we are offering a 15% discount on all Educational Purchases of Martine Sym’s work for a limited period. Martine Syms is the founder of Dominica, an imprint dedicated to exploring blackness as topic, reference, marker, and audience in visual culture. She has lectured at SXSW, TX; Walker Art Center, MN; REDCAT, CA; MoMA PS1, NY; and ICA London, UK. 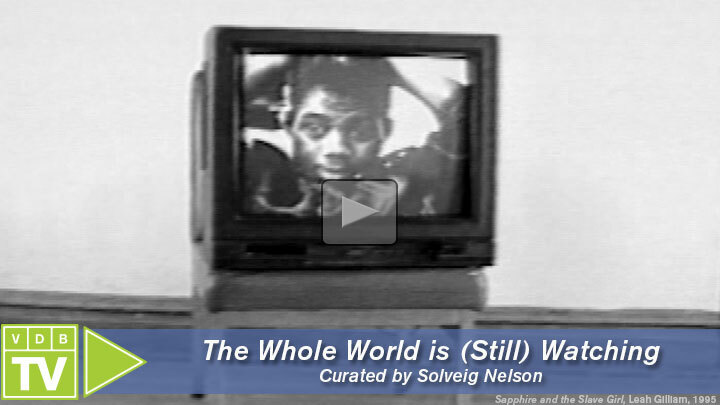 Her artwork has been exhibited and screened widely, including at the New Museum and The Studio Museum in Harlem, NY; White Flag Projects, MO; ICA Philadelphia, PA; and 356 Mission, CA. Syms is based in Los Angeles, CA. 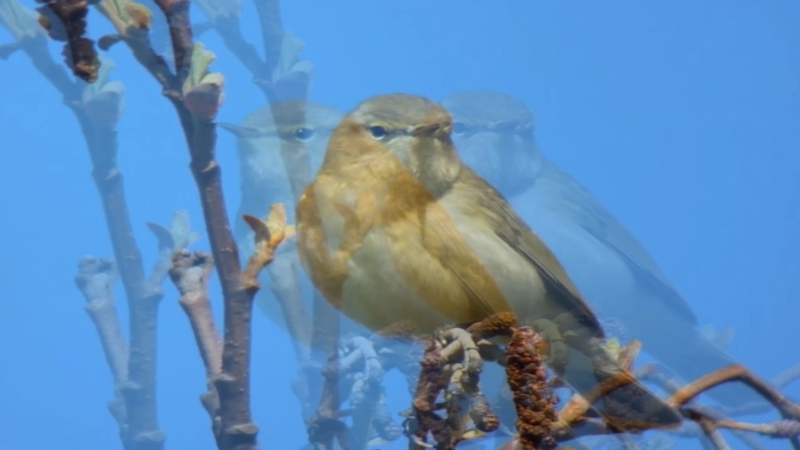 Video still from A Pilot For A Show About Nowhere (2015). © Martine Syms. 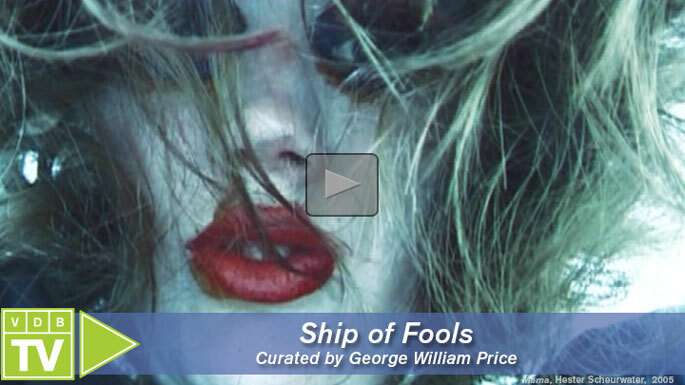 Courtesy of Video Data Bank at the School of the Art Institute of Chicago. As part of our 40th anniversary celebrations we are releasing a selection of limited edition merchandise! 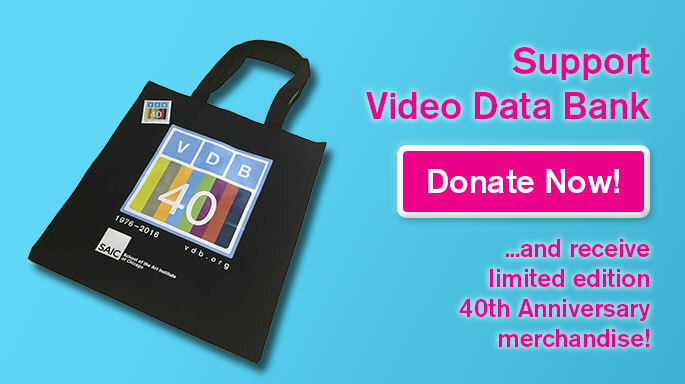 These include stylish tote bags (perfect for carrying your VDB rentals), and buttons to show the world you care about video and media art. 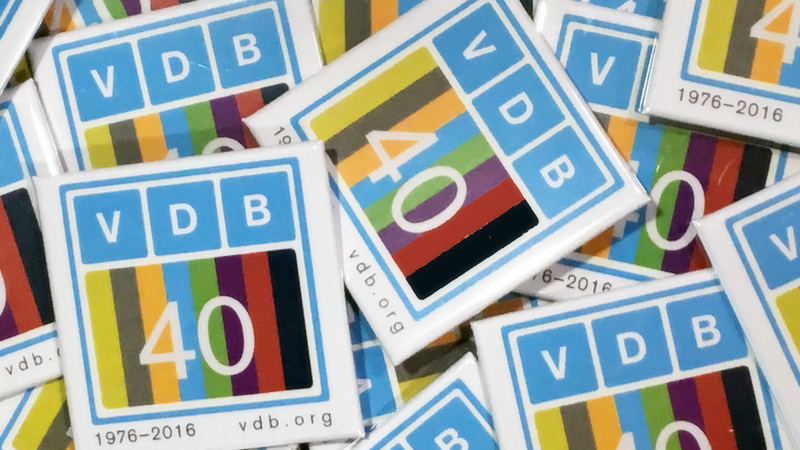 We are offering these to VDB donors through our anniversary year, but hurry, as stock is limited! VDB artist Ben Russell will present a series of works including Let Us Persevere In What We Have Resolved Before We Forget, YOLO, and HE WHO EATS CHILDREN as part of the Indigo Festival of Contemporary Ideas Ljubljana, Slovenia, this September. Other work being screened at the festival includes Images of the World and the Inscriptions of War by the late Harun Farocki. The National Center for Contemporary Arts, Moscow, will exhibit George Kuchar‘s epic melodrama A Fatal Desire through October 2016. VDB artist Steve Reinke will also present on Kuchar’s expansive body of work during the exhibition on October 28th. A 1984 interview of contemporary art critic Craig Owens conducted by VDB founders Lyn Blumenthal and Kate Horsfield will show at Galerie Buchholz, NYC as part of a new exhibition by Douglas Crimp, coinciding with the release of his book Before Pictures. The exhibition runs through October 22nd, 2016. VDB is proud to co-sponsor Furry Friends a program starring the prized pets that inspired the work of underground cinema legends and twin-brothers, George and Mike Kuchar. From George’s early 8mm home movies of the family dog, Bocko, to Mike’s adoring portrait of their tuxedo cat, Lily, Furry Friends brings together eight pictures spanning 40 years. This program is presented in collaboration with the Gene Siskel Film Center and Iceberg Projects in conjunction with George Kuchar: Bocko, an exhibition at Iceberg Projects on display from September 17th-October 30th, 2016. THINGS: a queer legacy of graphic art and play, featuring the work of Tom Rubnitz, opens at ONE National Gay & Lesbian Archives at the USC Libraries September 17th through December 11th, 2016. THINGS presents objects made by LGBTQ artists best known for their work in journalism, performance, film, and video. The Stiftung Deutches Hygiene-Museum, Dresden, will present VDB artist Yvonne Rainer‘s Hand Movie as part of the exhibition Language, which explores the manifestations of language in all areas of our lives. Language opens September 24th, 2016 through August 20th, 2017. The Scottish Queer International Film Festival will present Liz Rosenfeld‘s The Surface Tension Trilogy at the Center for Contemporary Arts, Glasgow, on October 2nd. The artist will be present for a Q&A session directly after the screening. 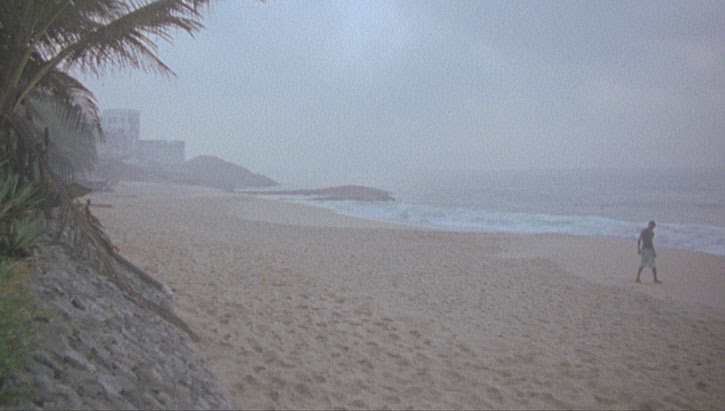 VDB artists Martine Syms and Sara Magenheimer kick off the Fall 2016 Flaherty NYC season Wild Sounds with the program Voices From Beyond, screening October 3rd at Anthology Film Archives. As part of Video Data Bank’s ongoing commitment to the presentation of groundbreaking moving image art, VDB TV presents this free online program of curated video works (1997–2012) that are concerned with media and mediation, technology and collaboration… and all things in between. 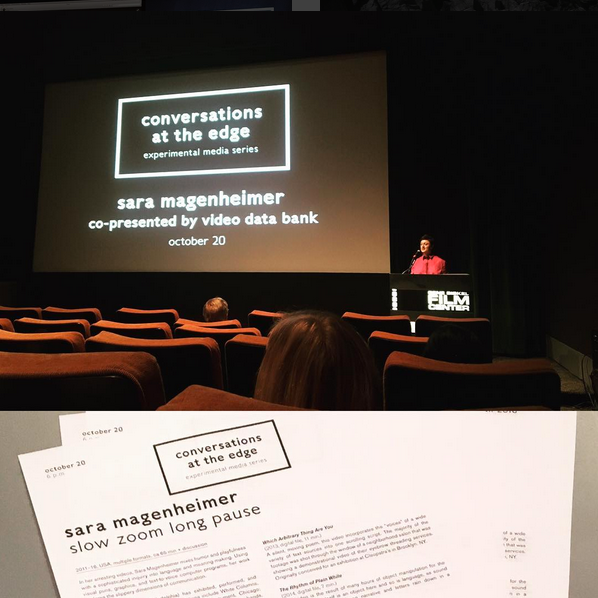 This program was originally curated for Uncommon/Commons, an incubator for skills and knowledge-sharing that responded to the themes of the commons and “commoning”, held at the 2014 College Art Association Conference in Chicago. The program was curated by Video Data Bank Executive Director Abina Manning and Greek curator, activist, and interdisciplinary artist Eugenia Marketou. 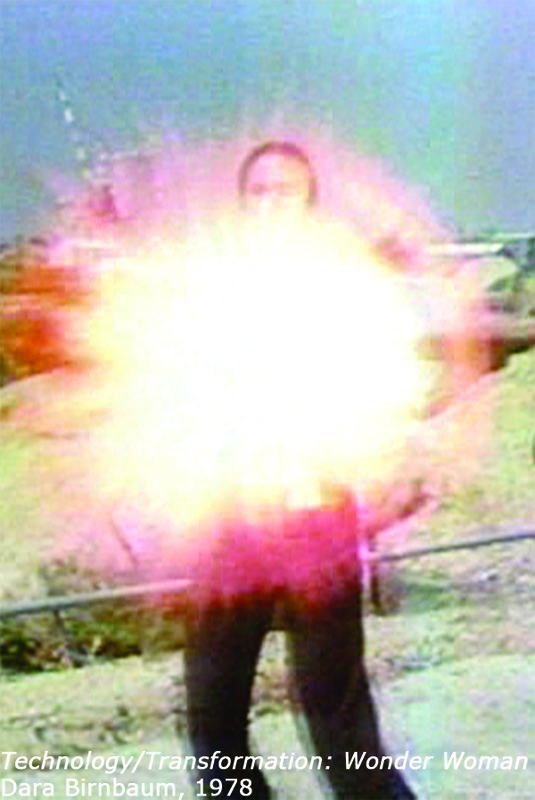 VDB TV is a rotating series of groundbreaking programs presenting essential video art, streaming free for the first time to the general public on the Video Data Bank website. From early media pioneers, to sensational contemporary artists, VDB TV provides unprecedented access to the culturally significant Video Data Bank archive of over 600 artists and 6,000 video art titles. VDB TV is curated by prominent programmers and moving image art specialists from around the world. To advance accessibility to the VDB collection, all programs included within VDB TV feature closed captions for the hearing impaired. Sourced from the historically significant archives of the Video Data Bank, VDB TV includes work from early video pioneers active in the 1960s and 70s, through to emerging contemporary artists. 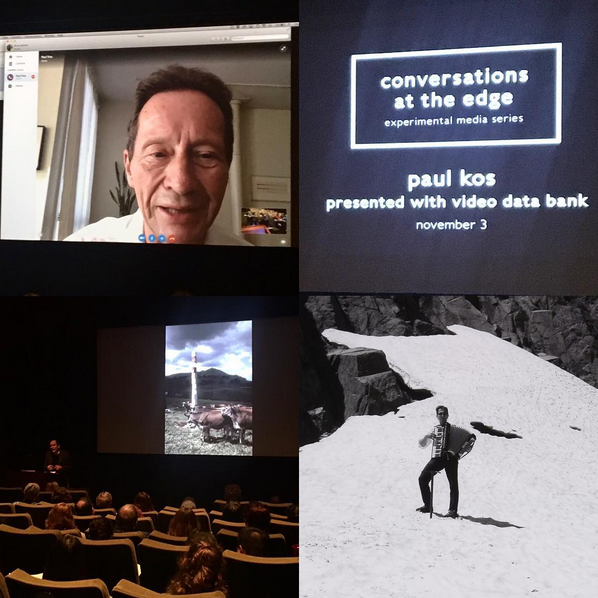 VDB TV offers viewers across the United States and beyond access to rare video art, the opportunity to engage with programs conceived by a wide range of curators, and original writing, all while ensuring that artists are compensated for their work. 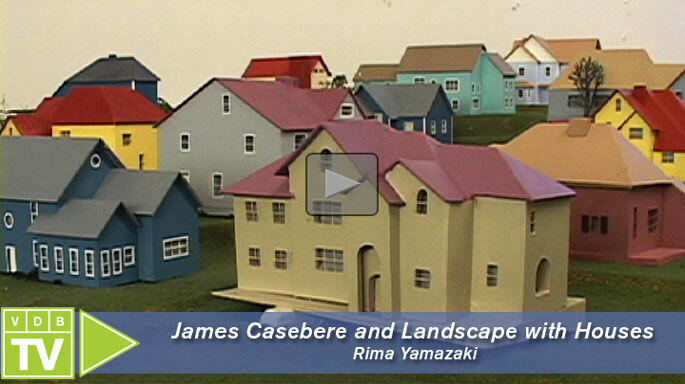 For more information on VDB TV, and to view previous programs, visit the online archive.